Spiritual (transpersonal) hypnotherapy is an emerging specialty of clinical hypnotherapy. Many people believe in some form of Higher Power. As hypnotherapists we can help access powerful resources within. By working at the Soul level uncover or re-discover connection to Divine Love, and the strengths that unfold from those learnings. So what is Advanced Spiritual Hypnotherapy? Processes and techniques that uncover Soul issues to resolve emotional suffering. What Issues respond to Advanced Spiritual Hypnotherapy? •Soul Purpose: Why am I here? •Working in the body: the body systems, DNA, stem cells etc. 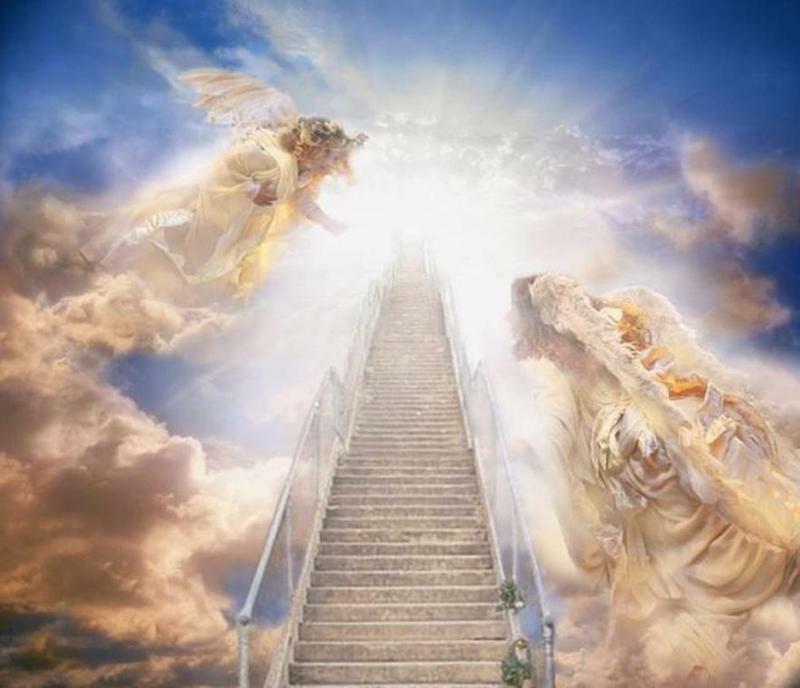 During an Angel Spiritual Hypnotherapy Session you will be guided to meet your Angels and Light Beings from the Higher Realms of Universal Consciousness. You may connect with and perhaps ask questions of them in regards to any aspect of your life as it is occurring in present time, pervious or future. During the session, barriers of time and space are removed and with guidance from these Light Beings of Pure Devine Love you may be able to ask those questions you have always wanted to know your whole life. Throughout the session you will feel safe, protected and a deep sense of relaxation while you are being guided on this spiritual Angel Journey. You make even find yourself connecting to a loved one who has passed on or to your ancestors from long ago. The Angel Hypnotherapy session I did with Bob was incredible! Bob guided me on a journey to meet my Angels and any other Ascended Light Beings that might want to come through from the Higher Dimensions. Bob’s voice is very calm and comforting – which made it easy for me to relax, feel safe and trust the experience. I was guided up this beautiful crystalline staircase to a room filled with wondrous healing light and love! I could feel it permeate my entire being – it as so loving and compassionate it filled me with so much joy I was able to connect and converse with some of my Spiritual Guides (one was an Ascended Master that had lived centuries ago). I asked many questions that I have wondered about – my life path , my healing journey! It was a very profound experience. I am grateful for this experience and the blessing of having Bob guide me through this. He is a wonderfully compassionate person with an incredible gift to help others and guide them to their inner healing light. It has been close to one month ago that I had a private session at your home. My desire was to have a session where I intended to connect with angels, spirit guides and my deceased family members. I also was looking for a way to calm my frantically talking mind and a peacefulness within. I am an energy worker and I wasn’t doing well at hearing my guides and helping my clients. My mind was in overdrive. I found that I was continually busy even during my sleep. My mind was problem solving, debating with myself about whatever was currently happening in my life and I would find I was working on clients by doing distance healing energy work as I slept. I would wake up and realize I had been treating someone. My mind could operate on 2-3 levels of thinking at any time. Previously I had been to the Penticton seniors Centre and had 3 group sessions with Bob. After the first one I found that I could have calmness in my mind with hypnosis. treated to a chuckle from my brother. It was a beautiful and freeing experience. As I came out of trance Bob and I discussed the session. I liked how he was so unhurried in ending the appointment and allowed me to talk and explain what I had seen. I did feel more certain of what next I could be doing in the area of self-healing and client-based healing. He advised me to take things slowly and to not rush into any decision making just yet. Characteristically I would have begun making plans and doing research on the new objective. I agreed to heed his advice. Strangely it has been easy to just allow this to unravel. Daily I find myself surprised at how I am able to focus on my current interest and just have fun playing with the techniques. I find myself able to wait till autumn before I start the course. Prior to this I would have been planning how I could take this online class while we would be on holidays and not always be able to be online. I see significant changes in my thinking each day. I was a person who always saying to myself that I just wanted peace in my mind. At the same time though I would be revving the motor in my mind about what I needed to do at that moment and every moment thereafter! at that recognition. The intrusive thoughts that I had been living with have greatly diminished. There is space in my head now to just relax, consider and observe. How glorious that is. If there are people reading this who recognize me they most likely would say there was way too much space in my head before. This space is of the “peace-filled” kind though and THAT is what Bob helped me find. I would recommend Bob and his hypnosis skills to anyone who is stumbling to find their way clearly. It has been an immense help to me!